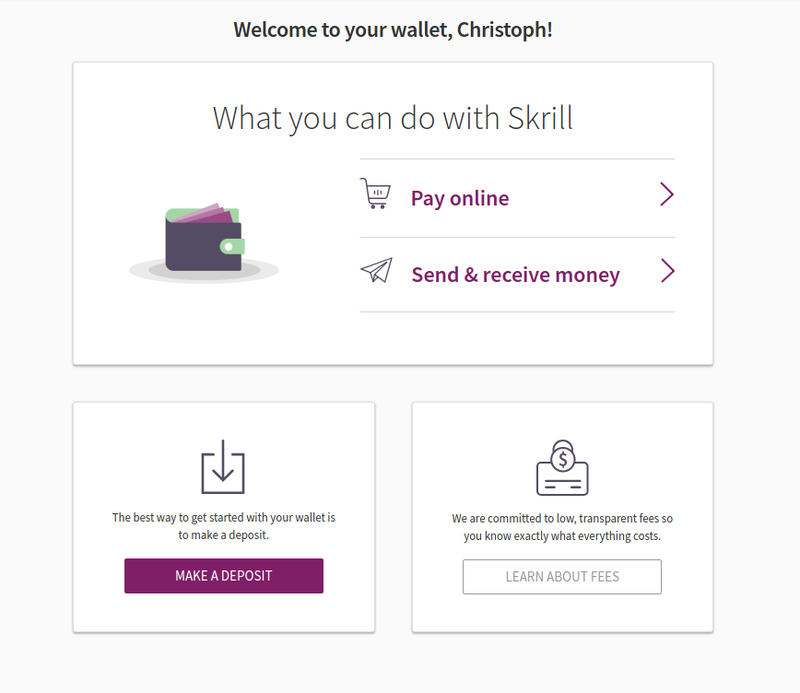 Skrill made some major changes to their verification process and a verification through email is no longer possible. 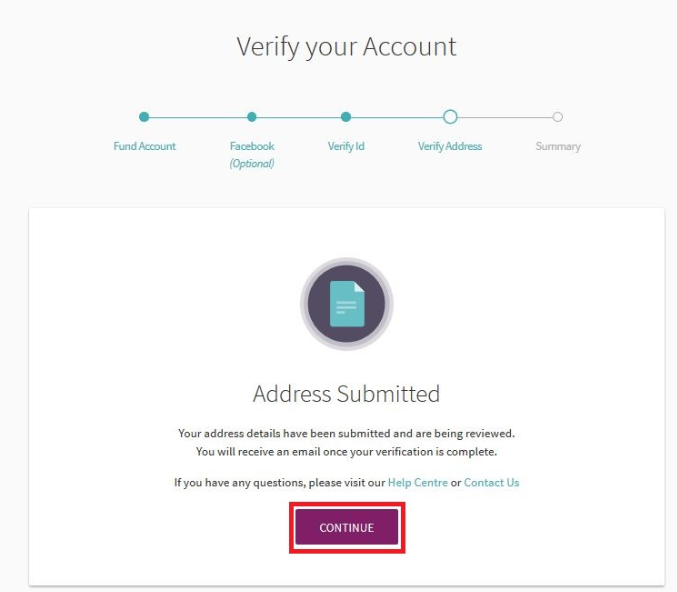 Here we will show you how you can still remove the transaction limits completely by verifying your Skrill account. 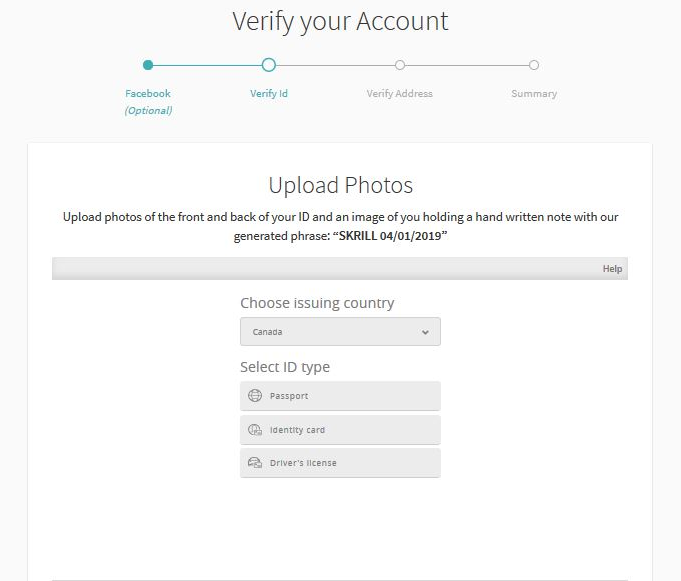 eWallet-Optimizer customers can verify through uploading an ID, proof of address and a selfie of your face holding a handwritten note with “Skrill” and the date of the verification process next to it to get verified within 1 business day. All our clients have the huge benefit to not have to deposit funds into their account or use a webcam to get verified. Only by using our link you will have the upload documents functions available in your account. If you are not registered with us yet, please make sure to use our link to enjoy the faster and easier verification process and join our free eWO bonus program now. As a client of eWallet-Optimizer you will enjoy lots of benefits including our prioritized verification without having to deposit funds into your account to get verified. With us your account will be ready within 1 business day and all limits removed. You already have a Skrill account? If you are already a client of us, you enjoy a prioritized verification process without the need to upload any funds to get fully verified. 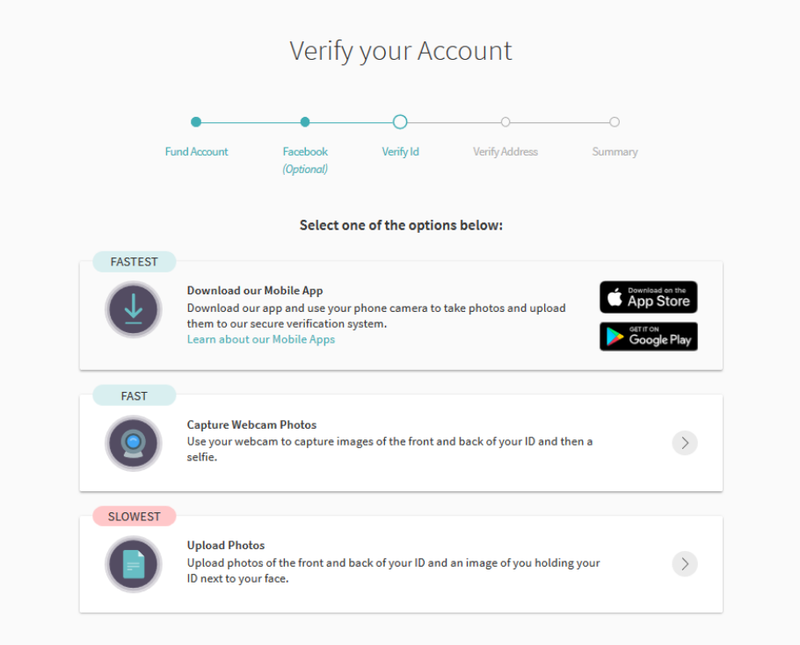 Choose “Upload Photos” from the verification options menu. Now choose your country of residence and your preferred account currency. Upload an ID document – a Identity card, passport or driver’s license. Upload a selfie – a picture of your face holding a note with “Skrill” and the date of the verification process next to it. Upload an address verification document – just choose your preferred document – like a bank statement or utility bill. That’s it. Your account should be verified and all limits removed within 1 business day, but usually even faster. Please make sure to upload high quality documents with all details clear and legible. 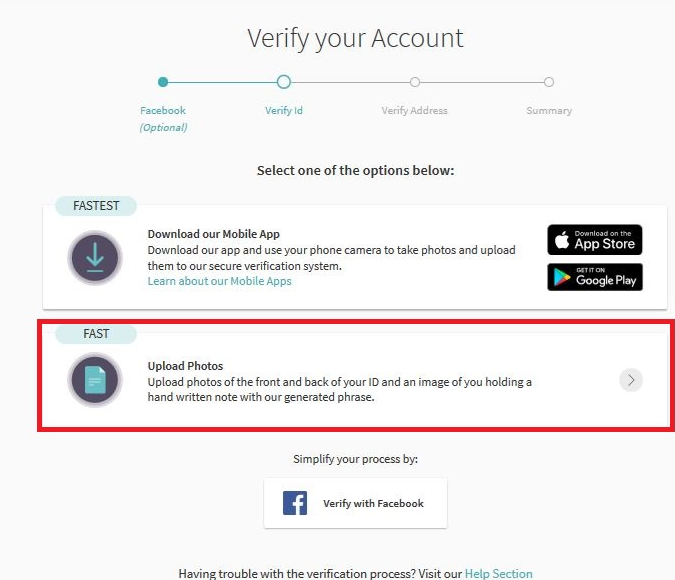 In case any document could not be accepted, Skrill will contact you and ask you for another document or to provide a better picture. Once you have reached the required transfer volume (deposits to merchants) just use our VIP Upgrade form to get upgraded to VIP. Becoming an eWO client is fast and easy and also comes with some great benefits for your Skrill account. Just make sure to sign up your FREE account with us to enjoy all those benefits and get the most out of your Skrill account. You earn 0.3% cashback for all deposits to Sites that offer Skrill as a payment option. There is no cashback for Pokerstars & Full Tilt, Betfair earns 0.2% cashback. 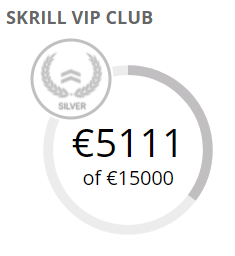 Our Skrill clients who are not Skrill VIP yet, are able to join our exclusive Skrill VIP-Upgrade promotion that earn them up to 100 EUR Cash Bonus paid by Skrill in addition. Faster Upgrade to bronze and silver VIP status (only 3,000 EUR for bronze, 5,000 EUR for silver & 15,000 EUR for gold) – please note, this is a one-time offer for new clients and standard requirements apply afterwards. The verification process for regular customers who are not members of our eWO Bonus program will have an additional step which will make it harder and more uncomfortable to get verified. All regular customers have to deposit at least 10 EUR into their accounts to finish the process and the verification will also not be prioritized which might cause a delay in the process. 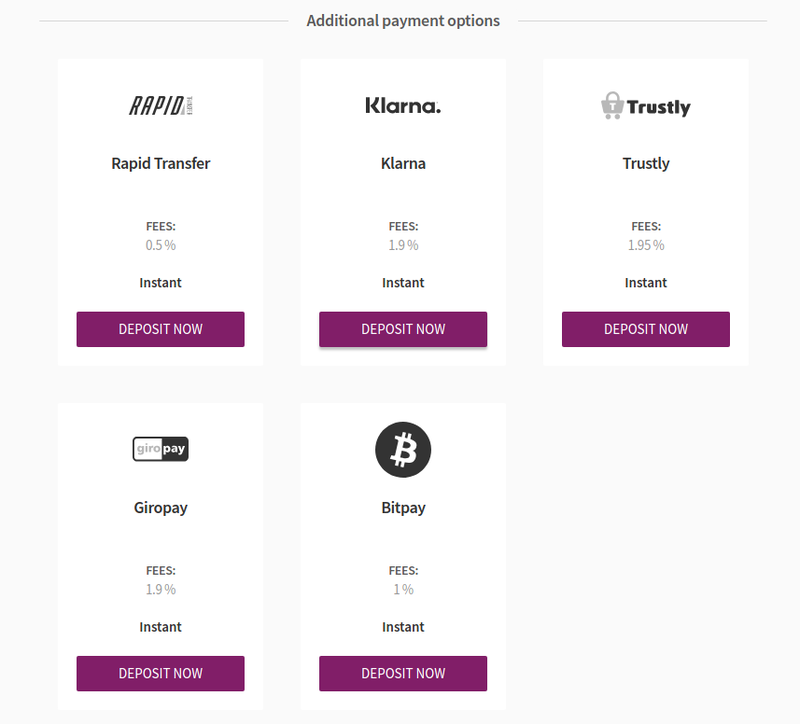 Besides the regular deposit option like credit card or a bank transfer, you have also some additional payment options available to fund your account (see screenshot below). Depending on your country of residence the option may vary, so make sure to check if there is any option available to you which you are able to use. However, if you have not applied to our bonus program yet, you can still submit your account details to join us. 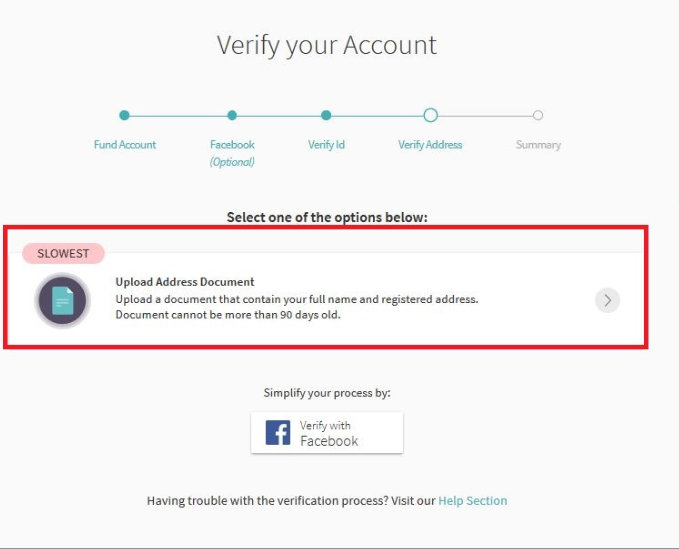 Once we have the confirmation this additional step will disappear for you and you will have an faster and easier account verification process. Of course there are lot more benefits with us, like the monthly bonuses, lower VIP requirements and personalized support through Skype, e-mail or social media channels. a verification through the Skrill Mobile App. a verification through a webcam. 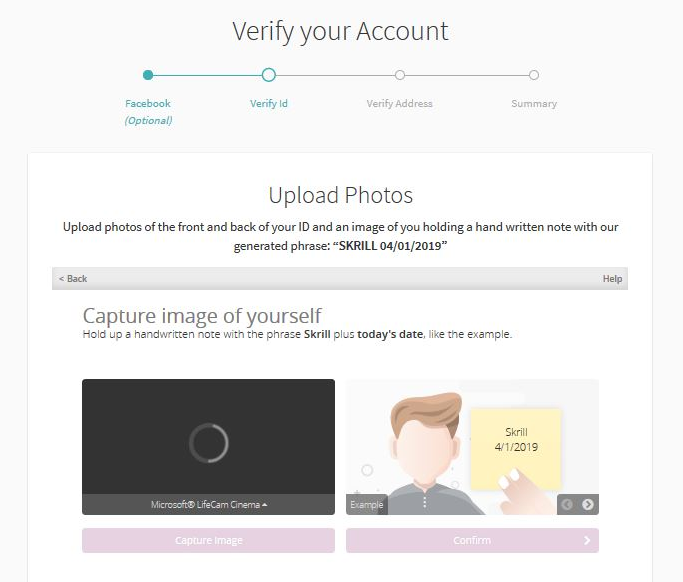 However, since not all customers do have access to a webcam and have issues using the app, uploading the documents is in general the most popular verification option for all customers. Please keep in mind, for those two options a deposit of at least 10 EUR is also necessary for all non-eWO members. 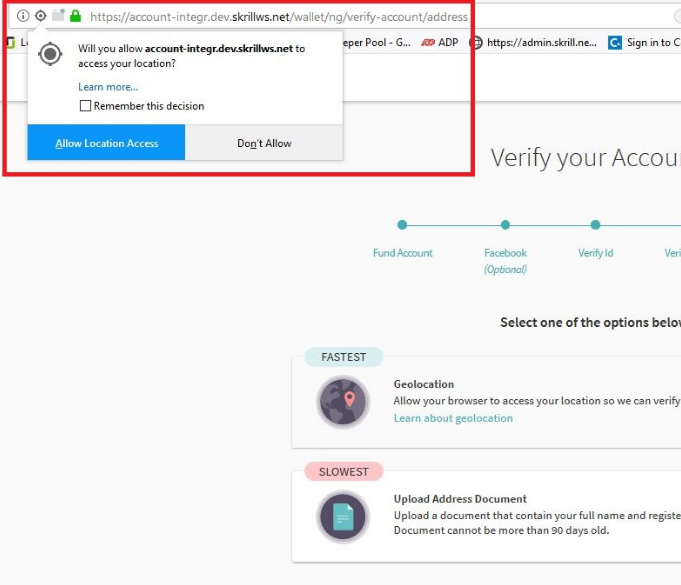 It is also important to know, that Skrill does not offer email verification anymore and your documents will not be processed if you send them to the support. Please contact us if there might be any questions or problems with your Skrill verification or your account upgrade.